It’s great news that the incidence of tooth decay has significantly diminished over the years, due to the use of fluorides and an increase in patient awareness. However, teeth are still susceptible to decay, infection, and breakage and sometimes need to be restored back to health. Through improved techniques and modern technology, we are now able to offer more options for restoring a tooth back to its normal shape, appearance and function. Should your teeth ever require restorative treatment, we will always discuss with you the available options and recommend the one we believe to be the most comfortable and least invasive. Providing you with excellent care and a beautiful smile is our number one priority. Remember to give your teeth the attention they need, and call us today! Filling teeth is one of the oldest dental techniques, but newer materials have definite advantages over the metal and metal alloy fillings of the past. At Premier Dental Concepts, we do not use metal amalgam for filling cavities at all. Instead, we provide tooth-colored composite fillings, using the latest technology in micro-filled bonded restorative techniques. Our chosen composite material and bonding system is Grandio by VOCO. It has excellent shade and color-matching, color stability, resistance to wear, translucency, and biocompatibility. In addition, this material is easy to sculpt, handle, and polish. It bonds to your teeth in such a way as to almost become part of them, unlike metals which shrink and swell with temperature changes and can pull away from teeth, leaving loose fillings, gaps for bacteria to enter, and tiny cracks in tooth enamel. They are truly tooth-colored, available in so many shades of white that they can be closely matched to the color of existing teeth. 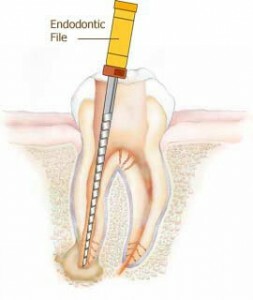 Less drilling and anesthetic is needed, because less of the tooth structure needs to be removed prior to filling. They are proving to be extremely durable and long-lasting. There is usually less sensitivity than with metal. They contain no mercury, a toxic element found in amalgam fillings. They are generally not allergenic, whereas metals cause allergic reactions in some people. A filling is usually finished in one appointment. We numb the area of the tooth, remove all decayed material including active bacteria, clean the tooth, and finally press in the composite material. This is shaped, sanded and polished, so it feels smooth when you run your tongue over it. It is important to restore the original shape of the tooth so your bite is not changed. It can be quite distracting to find a lump on a tooth that wasn’t there before. You’ll notice that the dentist will ask you to bite down as a test. Be sure to report any discomfort you feel when you bite. If you find an uneven area after you have left the office, simply call us. It is easy to fix. If you notice you have a bit of sensitivity to hot or cold, just wait a few days to see if it subsides, as it usually does when a tooth gets used to its new filling. 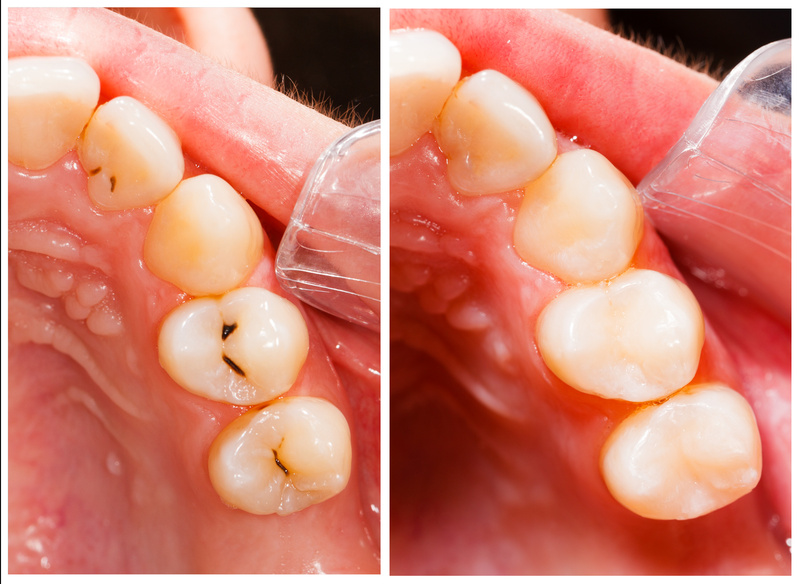 Older fillings sometimes need replacement, for they become loose or discolored. If you are interested in having some fillings replaced, or if you would like to have your older fillings checked to see if they are still sound, make an appointment for an exam or call today: 1-978-475-1030. A crown is a cover or cap placed over a tooth that has been reduced to the point where it no longer can stand on its own. A crown is made in a dental laboratory to restore the appearance and function of the original tooth. A tooth had to have so much decayed material removed that much of the tooth is gone. A cracked tooth needs to be protected, so the crack will not get bigger. A large filling is in danger of becoming loose. A fixed dental bridge system requires that crowns be placed on two anchor teeth, with one or more replacement teeth in between. A dental implant is covered by a crown. 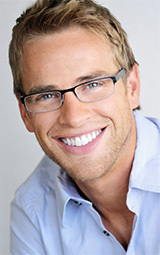 Extensive cosmetic dentistry sometimes includes crowns. During the initial dental appointment, we take an impression of your teeth. This forms a mold and is sent to the dental laboratory, along with Dr. Wojtkun’s instructions. Also during that visit, the tooth is prepared and covered by a temporary crown that you wear while waiting for your permanent restoration to be sent back from the lab. We use Biotemp provisional crowns and bridges. Generally, we get crowns back from the laboratory within ten days. Our laboratory can even fabricate a porcelain crown specifically for patients who have clinical evidence of grinding their teeth. For artificial teeth, dental implants provide an alternative to bridges or dentures. An implant may be a stand-alone crown or an anchor tooth for a bridge or denture. In the implant procedure, a root-like titanium insert is surgically placed into the jawbone and becomes a stable foundation for a new artificial tooth. They prevent adjacent teeth from shifting position into the gaps left by missing teeth. They help preserve your existing teeth. Unlike a bridge, a single-tooth implant does not require the reduction of the teeth on either side. 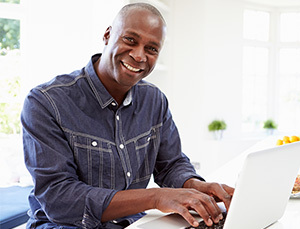 Unlike partial dentures, implants are fixed in place. Implants can also act as anchor teeth for bridges or partial dentures. Dental implants have a statistical success rate of 90% – 95%. The stability of implants makes it just as easy to chew and talk as with natural teeth. The whole process is accomplished over three to nine months and consists of several dental procedures with a long waiting period after the first. The first procedure, carried out by a periodontist or oral surgeon, is oral surgery to place the implant bodies. To get an idea of what this surgery is like, watch these implant videos. Following the surgery, there is a long period of healing. The bone grows around and even adheres to the titanium root. The next part of the process is done by Dr. Wojtkun. Depending on what was already done, he may install an abutment to hold the final restoration. He will then take an impression of your teeth and possibly x-rays and other measurements. These are sent to a dental lab, where your restorations will be fabricated and returned to our office in about ten days. In the meantime, we will supply you with temporary restorations. You will be fitted with your new smile when the permanent restorations arrive from the laboratory. A good candidate for dental implants must have proper bone density, a strong immune system, and dedication to taking excellent care of his or her teeth and gums. If you have already had bone or gum tissue loss, you may need grafting done before the surgery. This process, also called ridge augmentation, surgically replaces missing bone and gum tissue to provide the support needed for implants. If you have gaps in your smile, it is not only your appearance and your ability to chew that are affected. Wherever there is a gap from a missing tooth, the teeth next door can shift position and loosen. Missing teeth eventually cause bone loss. Difficulty in keeping the teeth and gums clean can lead to decay and gum disease. Some people begin to grind and clench their teeth once they have missing teeth. This can result in pain in the jaw or face. You may need to replace all your teeth or just a few, and that is the difference between full and partial dentures. For more information, watch this dentures video, which includes information about premium, more natural-looking teeth that are available. 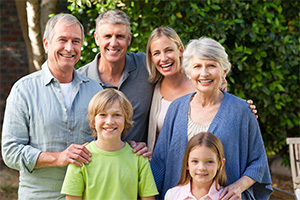 At Premier Dental Concepts, we provide Simply Natural Dentures. Designed to fit your mouth exactly, you can often forget you are wearing them. They are a huge improvement on older denture styles. Watch this Simply Natural Video to get a better feel. If you already wear partial dentures, you may be pleasantly surprised at this innovation. This partial denture is made to snap securely onto your remaining teeth, without any metal clasps to show when you smile. Valplast partials are removable, lightweight, and very comfortable. They are flexible, yet unbreakable. Bioblend porcelain teeth feature natural shade blending from the centrals to the canines, taking into consideration the fact that teeth are not all the exact same color. From tooth to tooth, there is a natural variation in shade, and this can be reproduced in your artificial teeth, producing a bright, but natural smile. Whether you are thinking of getting dentures for the first time, as a solution to missing teeth, or it is time for a change from old-style dentures, make an appointment for a free consultation with Dr. Wojtkun. When you have a large amount of decay in a back tooth or when a large filling needs replacement, the hole remaining after all decayed material has been removed may be too large to safely place a filling. There might not be enough healthy tooth structure left to securely retain a filling. If the hole is very large, your dentist may recommend a crown, but if it is in-between, then an inlay or an onlay might be preferable. Inlays and onlays are made in dental laboratories, like crowns are, but they are smaller and do not require the extensive reduction of the tooth that crowns do. An onlay is different from an inlay only in that one or more of the chewing cusps is included in the restoration. An onlay is therefore sometimes called a mini crown. At Premier Dental Concepts, we use either pressed porcelain materials milled in a lab or layered porcelains. Being porcelain, inlays and onlays tend to be long-lasting and, like composite fillings, are tooth-colored to blend in with your natural teeth. Even when you are laughing, there is no flash of silver or gold. An individual tooth is composed of layers. The outermost layer is what we see, the enamel. Just underneath is dentin, containing organic material, water, and a form of calcium also found in bones. Dentin completely surrounds the pulp, where are found nerves, blood vessels and other tissues. The pulp runs all the way down to the bottom of the roots within chambers called root canals. The pulp provides growth and nourishment to the other parts of the tooth. When tooth decay goes unhandled too long, it reaches deep inside to the pulp, resulting in infection and inflammation. Or, an injury can expose the pulp layer and leave it vulnerable. At that point, the only choices for treatment are tooth extraction or root canal therapy. If nothing is done, an infected pus pocket can form. This is usually quite painful. Even when there is no pain, the infection can damage the jaw bone. Then covering it with a crown. In this modern method of root canal therapy, Dr. Wojtkun utilizes an electric hand piece, which allows him to clean and shape the canals faster than using hand files alone. Because the device is electric, there is little drill noise, which makes the procedure more relaxing for the patient. In the past, root canal therapy often required several separate visits to the dental office. With the modern methods used at Premier Dental Concepts of Andover, most root canals are completed in one visit. If you have a toothache, contact us to find out if you may need root canal therapy.